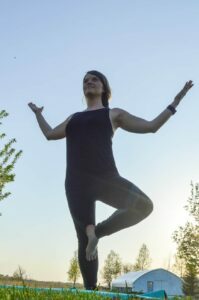 This week’s Day in the Life post features Health Coach Alyx Coble-Frakes (BHC January 2018 class). 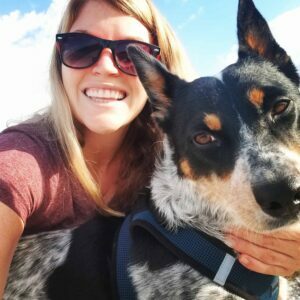 Read on for a sneak peek into Alyx’s typical day as a Health Coach. Hi, my name is Alyx Coble-Frakes, and I am the founder of Fully Aligned Coaching! I started BHC in January of 2018 and I started the HMBA Mastery program in May. I finished BHC in July and am truly loving the next layer of progression in the Mastery Course! I learn something new about myself each week! I had a degree in business, and really developed a passion for health in 2015 while on my own health journey. Upon returning from the Peace Corps, I was lost, stuck, full of anxiety, and had gained weight because of all these factors. I knew I needed to make a change! 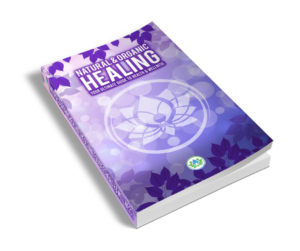 I went on a journey, and once I reached a higher level of health I realized that so many people could benefit from learning what I had learned. This led me to Health Coaching and I could not be happier to be building a business and having an impact on people’s lives. It has been one beautiful ride! The number one thing in my day is making time for journaling. This helps me reset, focus, and prepare for the day ahead. I consider this a sacred appointment with myself because it has really given me amazing results. Journaling doesn’t have to turn into a long session, just something to really get the juices flowing in the morning. 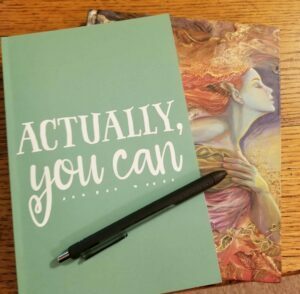 I have tweaked this routine over time, but in its current format, it includes writing in my brag (a place where you remember the good work you are up to), gratitude, and manifesting journals. I return to my manifesting journal repeatedly throughout my day. It has been so awesome! If you haven’t considered adding a journaling practice, I highly recommend it! After journaling, my attention goes to the newest member of our family, Charly. 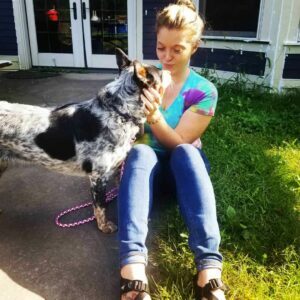 My 2-year-old blue heeler cutie pie has changed my routine a bit, though definitely for the better! We start our morning off with a nice long breakfast—kibble for her and typically a smoothie for me. I make a point to always include protein, fat, and fiber in my smoothies to help me stay full and focused. 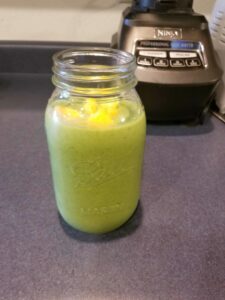 This smoothie has yogurt, spinach, mango, and a few chia seeds tossed in! After breakfast, Charly makes sure I get moving and grooving by going out for a nice long walk. I love how she has added so much movement to my day! One of the best things I have done for my coaching career this year is to attend networking events. Connecting with entrepreneurs reminds me that there is a world outside of my home office! I had been going to a networking group an hour away because I live in a rural area. 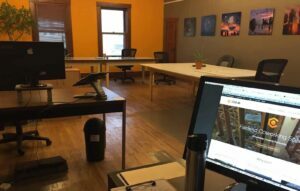 After a few months of attending, I met a member there who let me know about a coworking space near where I live. I decided to check it out and it was a great fit! I now have my office away from my office. It is a great space to go and get inspired, make new contacts, and spread the word about what I am doing. If you haven’t gone to a networking meeting I would highly recommend it! There are so many perks to this work! One of them is absolutely having a flexible work schedule. Being able to work on my own terms is amazing! I am currently serving clients from all over the place (including other countries)! Not only do I get to work with amazing clients, but I also get to spread the word about health and wellness through various mediums. I have been invited on over 20 podcasts and radio interviews, had articles published in online magazines, and even wrote a chapter for a health and wellness book that’s coming out in November. When you keep yourself open, the possibilities are endless! Being a Health Coach means building the lifestyle I want now, not waiting until I retire to do the things that I want to do. A few things that are high up on my list are cooking good meals and relaxing! I have always found joy in the kitchen; I love unleashing my creative potential in this way. Food is medicine, so we need to all look at what we are using to nourish our bodies! 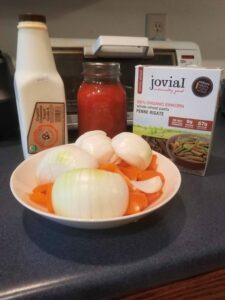 So fun to watch a few simple ingredients, turn into something warm and inviting. 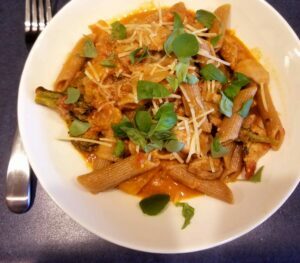 I took peppers, onions, and jarred tomatoes, simmered them down, mixed in cooked diced chicken and a little yogurt, and topped with fresh parm and basil from the garden! Simple and delish! Ending my day with something relaxing is a must! I love to read, do yoga, and spend time with my family. This career is so special because it allows me to bring all the parts of myself to the work that I do each day. What a true gift that is! Life is short, and nothing is a guarantee. I thought I had to fit into the cookie cutter expectations that society places on us…go to college, get a job, work until you retire. But I am now living on my own terms! Some days are tough, but they are totally worth it. Getting up, being surrounded by an amazing community, and living in service is truly priceless. If you are being called to make a change, follow that voice. You can make more money, but you can’t get your time back. Be brave and chase the life that is meant to be yours!